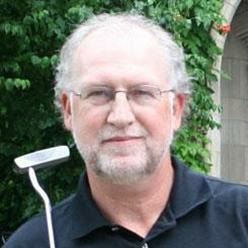 Tim Lee is a Professor of Kinesiology at McMaster University in Hamilton, Ontario, Canada. He has published more than 80 papers on the topics of motor control and motor skill acquisition in peer-reviewed journals. He is the author of Motor Control in Everyday Actions, and is the co-author with Richard Schmidt of Motor Control and Learning: A Behavioral Emphasis, which is now in its 5th edition. Tim has served as an editor for the Journal of Motor Behavior and the Research Quarterly for Exercise and Sport, and as an editorial board member for the Psychological Review and the Journal of Motor Learning and Development. His research has been supported by numerous grants, including continuous funding (since 1984) by the Natural Sciences and Engineering Research Council of Canada. Tim is a past president and Fellow of the Canadian Society for Psychomotor Learning and Sport Psychology, and an International Fellow in the National Academy of Kinesiology. In his leisure time, Tim enjoys playing ice hockey in the winter, golf in the summer, and listening to the blues year-round.